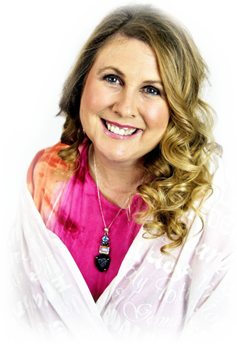 "2016 Australian Psychic of the Year"
Suzie is known as Ghost Whisperer Suzie and is one of Australia's top psychic mediums, astounding thousands of people with her accurate detailed messages from spirit. Suzie's book takes you on an inspirational journey through her life, sharing her experiences, her beliefs and her knowledge. in their life to read this book. Suzie's debut album "Heart of the Universe" is a modern upbeat spiritual album of uplifting songs that are a compilation of chant and prayer, an expression of love, gratitude, and inspiration. The music and words can transform the listener into another state of mind and connect you to the positive flow of life. The lyrics are written using English and Sanskrit words to give the songs a strong positive vibrational energy. The songs are a mixture of soft rock/pop, blended with a spiritual meanings, which gives the album a modern twist on traditional spiritual music and makes the album unique with a wide appeal. 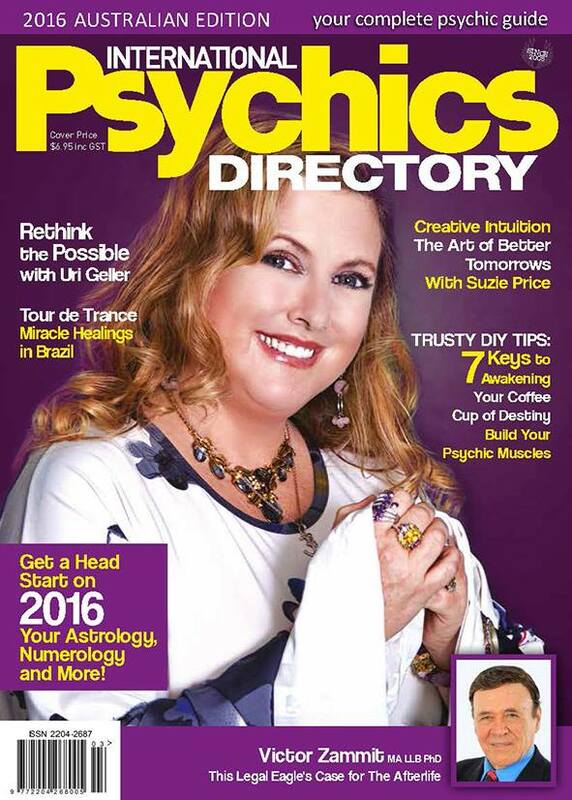 Awarded "2016 Australian Psychic of the Year" - Suzie has been working as a professional medium for over 15years, although she has had the ability to communicate with spirits since a near death experience as a child, but she didn’t begin using her abilities to help others until in her late twenties. The psychic messages that come to Suzie for her clients can be startling and astounding. She is such a clear and angelic messenger to the other side, her readings can unexpectedly take many people by surprise with specific details they can connect with. Suzie's kindness, honesty and accuracy in her readings are earning her a healthy reputation throughout Australia and beyond, she is now receiving many clients internationally as well. Suzie has been fully booked out well in advance for many years, her current waiting time for appointments is 15 to 18 months. 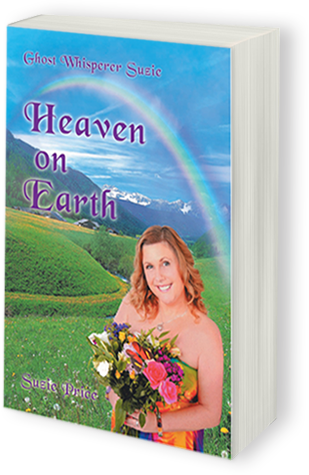 Suzie is also a published author of “Ghost Whisperer Suzie – Heaven on Earth”. Her book is an in-depth look into her life, and her mind. It takes you on an emotional journey as you relate on a personal level and then it opens your mind and helps to develop your own spiritual awareness and understanding enabling the reader to tap into their own natural abilities. To truly learn more about Suzie, this book will give you a complete look at and understanding of who she is. Suzie is also a singer songwriter and had a successful singing career before her children were born. Recently Suzie has been putting some time back into her music and has just created her debut album "Heart of the Universe"! 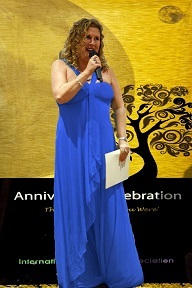 In 2014 Suzie was awarded with the International Psychic Directory - 2014 Psychic "People's Choice Award" at the International Psychic Association Presentation Dinner. When doing readings Suzie will connect with her own guides and also any spirits connected to her clients. Both phone and skype readings for clients on the other side of the world pose no obstacle for Suzie being able to make great connections for her clients. In personal readings for individuals Suzie may hold either your hand or a piece of your jewellery as she connects with spirit. She can also hold someone else’s jewellery and connect to them through it. Pictures can also be brought to the reading for Suzie to hold. Suzie will also use tarot cards in her readings and can also read palms. Many emotions can be unlocked as she brings through messages from the other side and tells you things about your past, present and future. Suzie truly has "Super Natural Abilities". Suzie does personal readings from her home and is also available for phone or Web Cam readings. 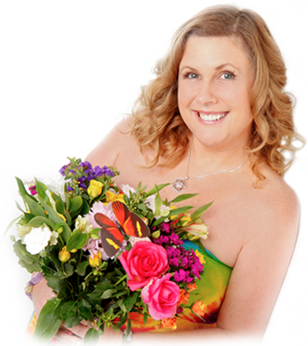 Suzie will also travel to people’s homes for group bookings and psychic parties, in addition Suzie also travels extensively performing psychic stage shows and runs psychic development classes. Suzie resides in the Hunter Valley with her much loved husband and children and pets. Suzie meditates daily and practices many new age beliefs. Suzie is a vegetarian and keeps her body clear of toxins. She is a clear conduit to the other side. Suzie is a gentle compassionate and loving person who is down the earth and centred in peace and love. All readings are fully booked out well over a year in advance. If you have already booked an appointment, the cost is set at the price quoted at the time of booking the date for your appointment. The prices quoted below apply to all new bookings only. Please read the entire page before you book your reading. If you would like to organize an appointment or appointments please fill out all the details on the booking form and your name will be placed onto Suzie’s Appointment list. Once your name is on Suzie’s list you will be contacted with an approximate waiting time as to when we will be contacting you again to book and arrange a date and details for your appointment. We then arrange a date for your appointment(s) which will be 2 to 6 months from that date. At this stage of the booking process, once a date and suitable time have been agreed upon a holding deposit is required to secure your appointment. Traveling cost :- When booking Suzie to come to your home or your town to do readings an extra cost may apply. For all bookings that require Suzie to travel more than 1 hour by car from her home a 10% surcharge may apply depending on if Suzie is already touring when visiting your town. All proceeds from Suzie's appointments and shows are donated to NewEarthSpirit Foundation participants in New Humanity Collaborative Community assisting with charitable activities around the world. With all readings I connect with the client and try to connect with any spirits connected to them. Some people will be easier to connect with than others and it may take longer to make connections for some people before I can bring through detailed and specific information from spirit for them but by being open and knowing what to expect when having your reading can help you get the most out of your reading. Messages from spirits are not like talking to another person, information can come to the medium through any of the psychic senses, in sounds, images, smells, feelings and thought. Messages can be hard to interpret and mis-understood at times. Different spirits can communicate in different ways and the psychic doing your reading may ask some questions to determine if the messages are being interpreted the right way. The psychic does not determine the information she is given to pass on. Questions may be asked but there are no guarantees of an answer. Some information may be interpreted wrong both by the psychic and by the client. Many times I have clients who couldn’t relate to the information at the time but later it made sense and they had connected to what was said. Have an open mind, be open minded and don’t put up walls, this allows the energy around you to flow more freely. Relax! Leave your expectations at the door, You can hope to get specific information but don’t expect to hear exactly what you want to hear. The information received is not up to you or the psychic. You may ask some questions but you won’t always get answers. Acknowledge the information given as correct, nearly correct, incorrect, or unsure, This helps the psychic to know if she is interpreting the information correctly and will help her to understand the messages more clearly, Sometimes more than simple yes and no answers can help the psychic so you can elaborate on some things if you want to but try to avoid over elaborating. Try to remain as quiet as possible, If you are talking too much the psychic may become distracted and the reading may not be as clear. Try to be positive, by putting out positive energy you are more likely to get a better reading. This relates to universal laws, “what you put out comes back to you”. Please let us know of any days or times that may suit you better than others? Please note that if you require Suzie to travel to your home or town more than a 1 hour drive from her home to conduct her readings a surcharge of 10% applies to all costs. Thank you for submitting your details to have your name placed on the waiting list for a reading with Suzie. Your name has now been placed on Suzie’s list. Waiting times for appointments are currently 15 to 18 months. We will contact you in 10 to 12 months, about 6 months prior to your approximate booking date to organize your time and date for your appointment. A deposit of 20% is required at this stage to secure your appointment. Australia and the world demonstrating her abilities at psychic shows. to bring through insights and information from spirit. Upcoming shows and events are posted to this website and also to face book. Tickets are mostly available at the door on the night unless the venue becomes sold out! To pre-purchase tickets to any up coming shows, please follow the ticket link next to the event. This is just a huge THANK YOU from my family following the reading you did for us here yesterday.... We have passed messages on to other family members who were not able to be present yesterday & they are thrilled – although sad they couldn't join us personally. After reading through the notes we have also been able to identify some more of the people who came through. Yesterday you became a part of our family & we welcome you with open arms. Again a huge thank you & we look forward to catching up again. Welcome to my shop, from here you can purchase a copy of my book "Ghost Whisperer Suzie - Heaven on Earth", Tickets to one of my up coming shows or a copy of my new album "Heart of the Universe". Please select the appropriate button and follow the prompts. 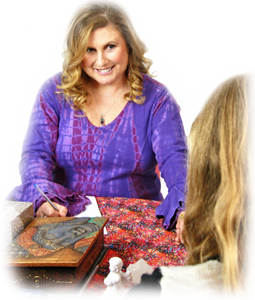 Suzie Price is known as Ghost Whisperer Suzie and is one of Australia's top psychic mediums, astounding thousands of people with her accurate detailed messages from spirit. Suzie's book takes you on an inspirational journey through her life, sharing her experiences, her beliefs and her knowledge. Suzie's book will inspire you and help you understand how implement changes in your own life to create the life you want to live. I recommend anyone wanting to open their own spiritual awareness or wanting to make positive changes in their life, to read this book. We are currently out of stock but my book can still be purchased from all major on line book stores. Ticket links for individual shows can be found by clicking on "Buy Tickets" next to the date for the event you wish to attend. This links allows for purchases through pay pal but only one ticket can be purchased at a time from this link. When you purchase your tickets, please leave a note in comments for the date and venue you wish to book tickets for. You will be contacted to confirm your purchase and the show you require tickets for. Tickets are emailed to you or you can collect them at the door on the night. My album "Heart of the Universe" is a spiritual album of uplifting songs that are a compilation of chant and prayer, an expression of love, gratitude, and inspiration. The music and words can transform the listener into another state of mind and connect you to the positive flow of life. The lyrics are written using English and Sanskrit words to give the songs a strong positive vibrational energy. The songs are a mixture of soft rock/pop, blended with a spiritual meanings, which gives the album a modern twist on traditional spiritual music and makes the album unique with a wide appeal.